Saturday April 20, 7:30pm, to cap off the term the Chapel Choir will present a concert we’re calling 1000 Beautiful Things(after the song by Annie Lennox… which may just make an appearance on the program!). On the eve of Easter, recognized by many as Holy Saturday, we share in the anticipation of new growth, hope reborn, and the limitless beauty in each one of us. Stunning choral music music by Eric Whitacre, Paul Halley, Moses Hogan, Annie Lennox, Dolly Parton, and more. We’ll be joined by some of our favourite musician friends: percussionists Ken Shorley and Zoe Strutt; pianist Mary Castello, and bass player Ryan Harvey. We love this program! No reserved tickets for this concert: suggested donation of $10 at the door, or as you are able. 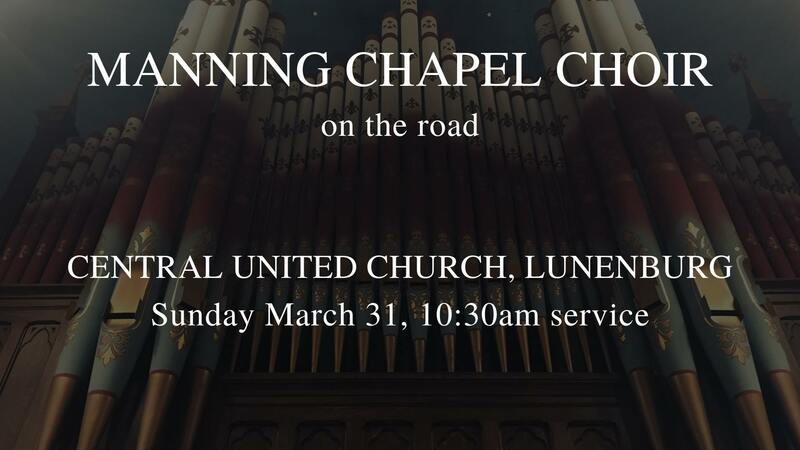 On Sunday March 31, the Chapel Choir will all pick up a double-double and hit the road for Lunenburg to sing for the 10:30am service at Central United Church. 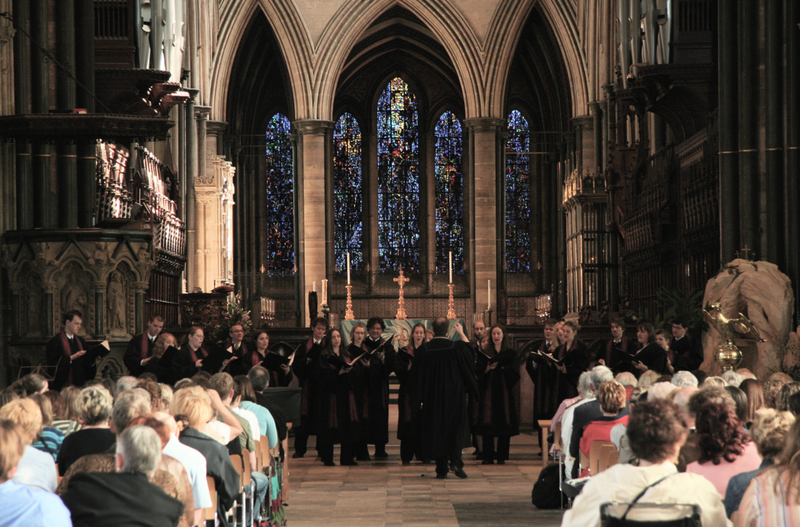 This is the church where Chapel Choir director, John Scott, is Minister of Music. A glorious old Methodist church with a magnificent acoustic (dare we say the best in Lunenburg…! ), and a most attractive 100+ year old organ. The choir will sing a number of pieces during the morning service, and will share some time following the service over tea & coffee to say hello. We’d be really thrilled to meet any local high school students who may be considering Acadia for undergraduate studies, in any faculty, not just music.